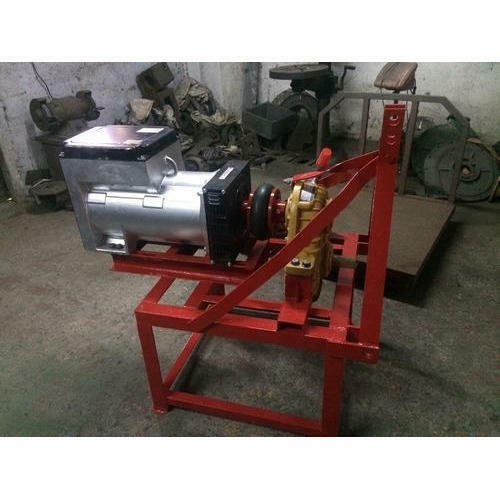 We manufactor genrator which are driven by Tractor Driven Generator.Our alternator are manufacutured using best quality of material to get the best perofrmance. Our Alternator are made of Graded Aluminium Body. We, Prabhukrupa Industrial Corporation, established in the year 1965, are considered to be one of the prominent manufacturers and suppliers of Centrifugal Water Pumps and Allied Products. Consists of Volute Casing Centrifugal Pumps, Flat Pulley Driven Pumps and Pumps & Fittings, we offer a wide range of pumps. These pumps are precisely engineered from the finest grade of stainless steel that are sourced from the authorized vendors. The pumps and allied products are highly demanded in agricultural and chemical industry. These pumps are highly appreciated among our patrons for their key features such as energy efficient design, resistance against corrosion & temperature and longer serving life. The pumps are available with us in various sizes and designs that suits the requirements of our patrons. Since the inception of our company, we have been backed and supported by a team of skilled professionals such as engineers, quality controllers, administrative personnel, skilled & semi-skilled personnel, warehousing & packaging personnel and other support staff. These professionals have helped us in meeting the precise needs of our esteemed patrons in the most organized manner.